The man suspected of killing a Wisconsin couple, kidnapping their teenage daughter and holding her captive for three months appeared in court on Monday afternoon. BARRON, Wis. (AP) — The man suspected of killing a Wisconsin couple, kidnapping their teenage daughter and holding her captive for three months appeared in court on Monday afternoon. A judge set bond at $5 million for 21-year-old Jake Thomas Patterson. If he posts bond, he cannot have any contact with Closs or her family, and cannot possess any firearms. Patterson remained mostly silent during the 10 minute hearing, except to answer, "Yes sir" to several of the judge's questions. 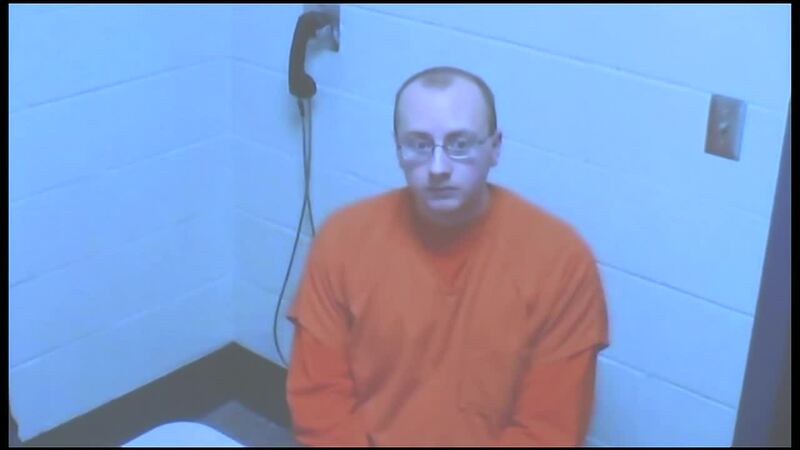 Patterson told investigators he was driving to his job at a cheese factory one day when he stopped behind a school bus and watched 13-year-old Jayme Closs get on, according to a new criminal complaint. On Monday, a judge set Patterson's next court hearing for Feb. 6. WPTV contributed to this report.